Read about this remarkable young person who has not only campaigned for the rights of girls education, but has forgiven the Taliban shooter who put a bullet in her head! 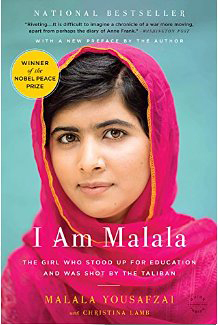 Malala Yousafzai’s story is an incredible one, she was an outspoken advocate of education in Pakistan, and, after her assassination attempt, over 2 million people in Pakistan signed a Rights to Education petition. This petition helped to ratify Pakistan’s first Right to Education bill. She was not afraid to stand up for what she believed in. Go to her website HERE.